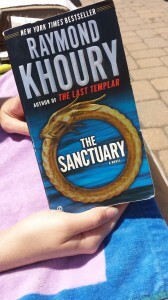 Today was a lovely day to be at the pool, perfect for letting my winter-white body soak up some the sunshine, and getting lost in a good book. Having just loaded “Middlemarch” to my Kindle, I had no time to lose if I wanted to finish that thing before I retire. 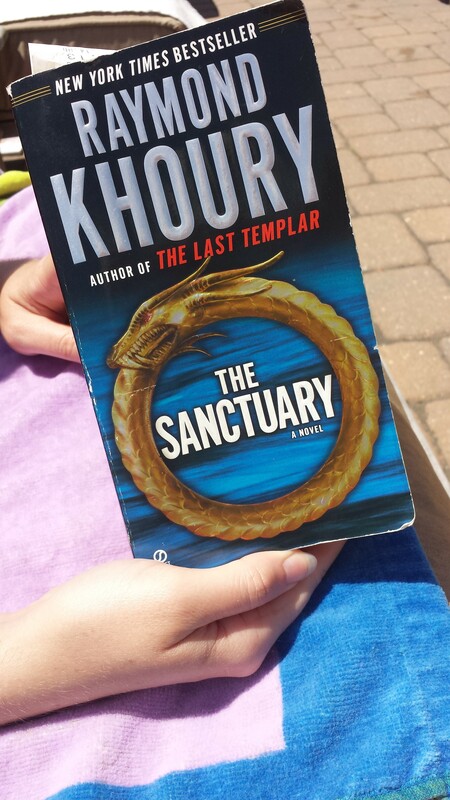 At least, that’s what I kept thinking as I splashed around in the pool with my offspring, laser-focused on preventing both drowning and, more importantly, bathing suit malfunctions. (Specifically, my bathing suit, which tends to be a convenient thing for my barnacle-child to clutch as she flails in the water.) It’s a family-friendly pool, full of young families and tiny humans with adorable bathing suits and bulging swim diapers. Waist-deep in water with barnacle-children clinging to us, we parents look longingly at the poolside grown-ups lounging carefree and quiet, focused on nothing more than perfecting their tans and examining their smartphones. 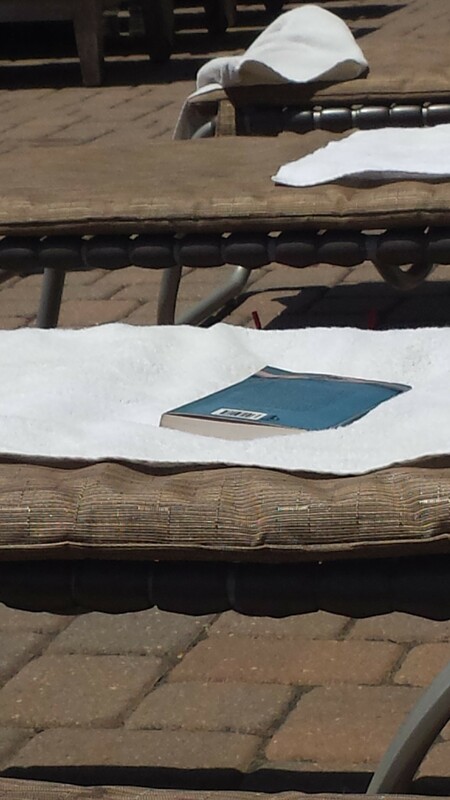 I had my eye out for poolside book lovers but located surprisingly few. Far more people were reading magazines and even more — at least those who were fortunate enough to be barnacle-free — were simply staring off into space or face-down into their chair cushions or, I suppose, dozing. Having caught a brief glimpse at the front cover before I snapped this surreptitious and completely unhelpful shot once the unwitting owner stepped away, here’s what I knew: The author is Brian Weiss, and the title was not in English, but included the word “amor”. 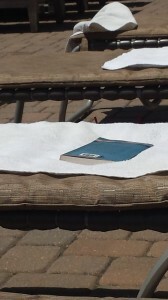 Some investigation on Amazon leads to the conclusion that my poolside neighbor was reading Lazos de Amor / Only Love Is Real, a non-fiction, new-age account by a psychiatrist of the realization that two of his patients were lovers in a past life. Sounds like a Reese Witherspoon movie I saw years ago … or perhaps one that I’ll see in the future ….